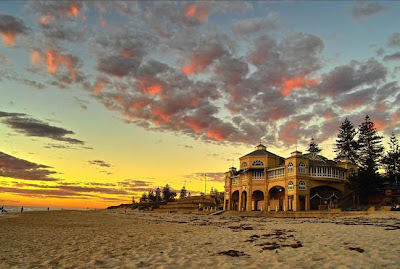 Just found out that Heath Ledger's wake was held at Indiana Tea House in Cottesloe....that's where I'm having my wedding reception. And the Chaplain who presided over his memorial service, is the same one who will be marrying N and I.
Wow, a beach side wedding. I bet it's going to be spectacular. this is a truly amazing photo! looks like out of a movie... btw I loved HL.